Auckland is not the only port to be considering an upgrade to its wharves -- in Newcastle, NSW a similar proposition is on the table. 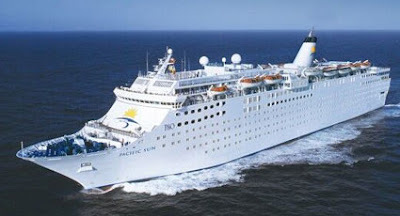 You see, from September, P&O Cruises will become the first cruise company to base a ship in Newcastle when the Pacific Sun operates out of the Port of Newcastle. Interestingly, both cities are talking about upgrading Queens Wharf -- yes there's a Queens Wharf in both Auckland and Newcastle. It's the rise in cruise tourism that is driving this need in both cities. An article at Theherald.com.au says that money to complete a feasibility study on building the terminal at or near the Newcastle Queens Wharf site is "guaranteed", possibly as a partnership between public and private sectors. Meanwhile the drive to develop Queens Wharf in Auckland in time for the 2011 Rugby World Cup has been stymied, with Auckland City Council arguing that development money should come from Government coffers rather than ratepayers. Redevelopment is inevitable with the rise in cruise ship visits -- but it's not clear who will foot the bill.